Episode 72 of Talk Ultra has a full and in-depth interview with Jason Schlarb after his recent 4th place at the 2014 UTMB. Donnie Campbell talks about his running career and winning the recent 3×3 80km High Terrain Events in the UK and Claus Rasmussen talk about running Spartathlon… in sandals. The News a Blog, UP & Coming Races and Speedgoat Karl Meltzer. 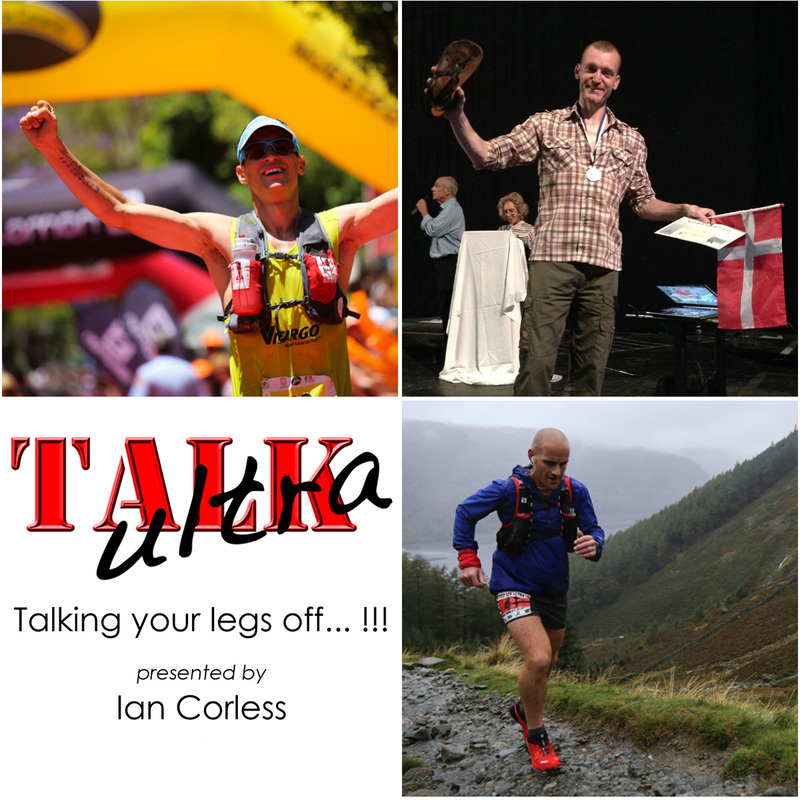 This entry was posted in Uncategorized and tagged 3x3, altra, corless, high terrain events, ian mulvey, jasonschlarb, rasmussen, schlarb, Spartathlon, talkultra, TNFUTMB, UTMB by talkultra. Bookmark the permalink. Does this email get to you? Thanks for organising the event last night. Was great to meet you and Stevie. I also love the fact that our sort is still small enough to arrange such a low key event with a world champion. Isn’t Stevie awesome? Hope to see you at an ultra some time next year.